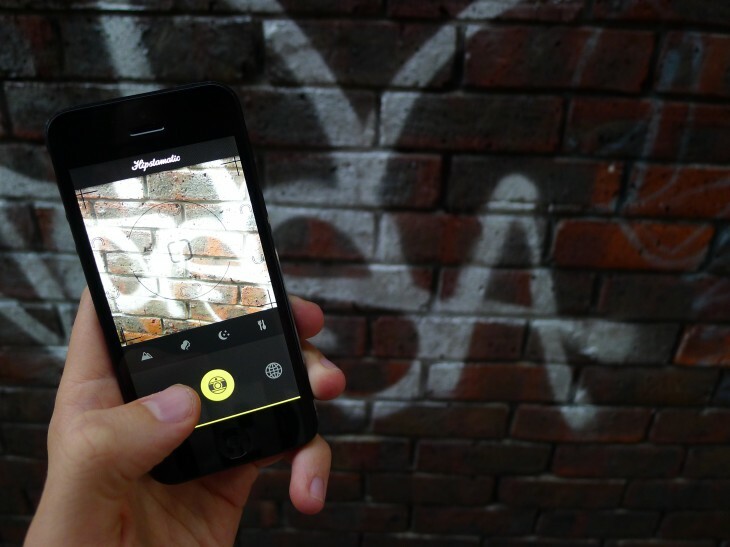 Hipstamatic was one of the first apps on the iPhone to give mobile photographers the ability to shoot square crop images with analog-inspired filters. It was a novel, playful experience, emulating popular toy cameras with a tiny viewfinder and on-screen interchangeable lenses. Instagram launched a little later and subsequently exploded in popularity, offering its own artistic filters with a mobile-oriented interface and self-contained social network. Hipstamatic continued to grow its own business with additional filter packs that were offered to its users as in-app purchases. The way that we shoot, edit and share photos has changed dramatically over the last few years though and the original Hipstamatic app isn’t the dominant force it once was. Google-owned Snapseed, Aviary, 500px and a refreshed Flickr and have all stepped into the fold, but this year Hipstamatic is hoping to make a comeback. “When we started looking at what we wanted to do next with photography and mobile, it didn’t make a lot of sense to move forward by simply changing what we had done and cutting off all of the people who still love Hipstamatic,” Lucas Buick, CEO of Hipstamatic said. This approach led to an entirely new user experience and a radical departure from the look and feel implemented in Hipstamatic. The result was Oggl, which launched for iOS as an invite-only app in May. Inside is a wealth of fresh, interesting filters (separated into lenses and films) that photographers can mix and match before taking their shot. There are four presets for the types of photos we all capture and share on a regular basis, covering food, portraiture, nightlife and landscapes, as well as the option to set a manual exposure reference point. But Oggl also offers its own social network. It’s a minimalistic, vertical feed that hides all of the information related to the photographer and community feedback. A single tap flips the photograph over to reveal all of this data, but it’s clear that Hipstamatic wants its users to focus on the images themselves, rather than who uploaded them. “It creates a new dynamic where discovering photos that you find interesting is an obsession over what you like, rather than who you know,” Buick added. “I think the real strength in Instagram is still how it puts people first; it’s the social connection before what their users actually shoot. The fact that I know you or I find you interesting is why I actually follow you. Hipstamatic’s next move was rather unexpected. Just a few days after releasing its iOS app, a version for Windows Phone 8 devices was announced during Nokia’s Lumia 928 launch event. The initial reaction was overwhelmingly positive, given that Microsoft’s mobile platform was in desperate need of some high-profile third-party software – and an official Instagram app was still nowhere to be seen. Microsoft had approached Hipstamatic once before (in the past, the company had also been in talks with Google) but Buick wasn’t interested at the time. That’s not surprising given that the current Windows Phone 8 userbase is tiny compared Android; the platform that most app developers target once they’re happy with their product and growth on iOS. A meeting with some of Nokia’s high-level executives changed his mind though. They started to explain their roadmap and renewed focus on smartphone photography. 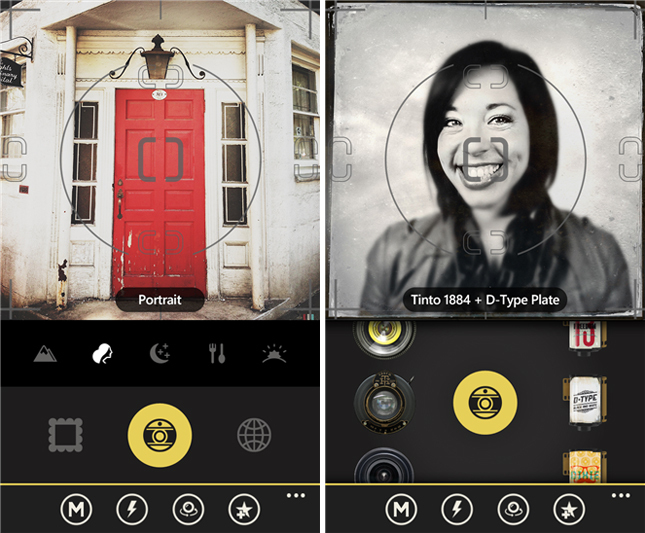 Nokia was also prepared to partner its imaging team with Hipstamatic’s in order to develop the Windows Phone 8 app and its PRO version compatriot, which takes advantage of the Lumia 1020’s manual camera controls. “That really sold the deal,” Buick said. “Our filters are custom and on iOS we’re using so many different standard SDKs and libaries to do image processing. Image processing is such a technical challenge to do at speed, especially when you consider how we develop our filters. So far, fewer than 100,000 people have downloaded the Oggl app on a Windows Phone device. Hipstamatic has kept the app in the public eye though and that steady exposure should help to drive users toward its iOS version. Oggl is an unusual name for an app, but sadly there isn’t a lightbulb moment or dramatic story behind it. “Early on we started focusing in on the trademark look of Hipstamatic, which is the icon; it’s a lens with a yellow dot above it,” Buick explained. “Design wise, we wanted to flatten it out and go post modern with it, and we abstracted that out and it became an O. So we just started focusing in on names that started with O.
Oggl is also unique because it’s monetized with an in-app subscription model. Users can download the app for free on the App Store or Windows Phone Marketplace, but they’ll need to pay either $2.99 every quarter, or $9.99 annually to access all of the new lenses and films released each month. It’s different to the model used in the original Hipstamatic app, which gives photographers the ability to permanently unlock new filter packs with a one-time purchase. Hipstamatic sees the Oggl subscription as being about more than just filters, but for now it’s tight-lipped about what it could as new premium features down the line. Buick revealed that Hipstamatic’s iPad magazine Snap will eventually become members-only, and said he has considered offering storage options similar to Flickr or Google+. 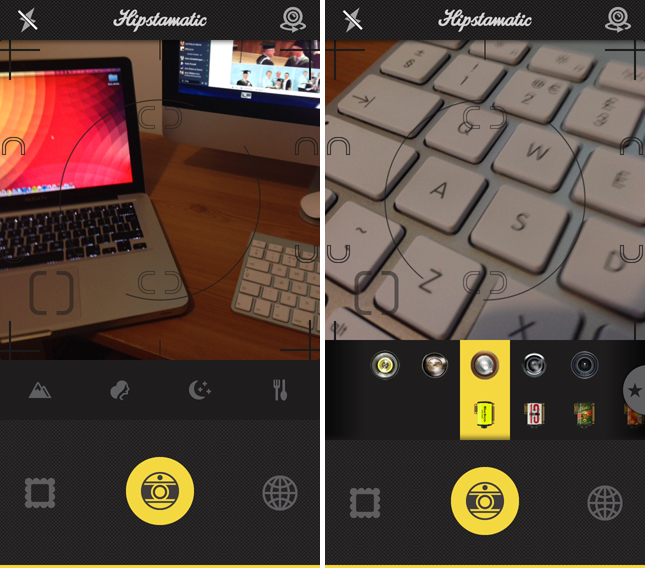 The original Hipstamatic app was a huge success for the company, but subsequent projects such as the D-Series app (short for Disposable Series) has since been shuttered because it wasn’t generating any revenue. The company also fired nearly all of its core staff last year after shipping “very little” in the previous nine months. Oggl’s subscription model is a bit of a gamble. 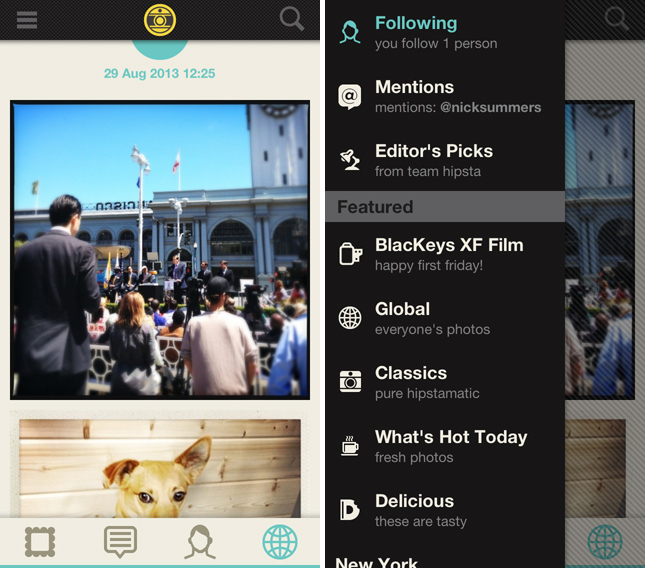 It will undoubtedly drive the Hipstamatic team to create new features and content that its users are willing to pay for. But it’s up against free apps such as Instagram, or those that are using the in-app payment model pioneered by Hipstamatic. It’s early days though. The company hasn’t promoted the Oggl app heavily in Hipstamatic yet, which has the potential to bring over millions of new users. It’s also working to bring Oggl to the Web, an area which Instagram has never really focused its efforts. It’s a fine line and one that Hipstamatic will need to tread carefully. Encouraging great photography is one problem, but doing so without isolating or shunning everyday users is another. Going too far in one direction will turn Oggl into an Instagram clone. The other will make it unprofitable. Will Oggl be the platform for Hipstamatic’s comeback?